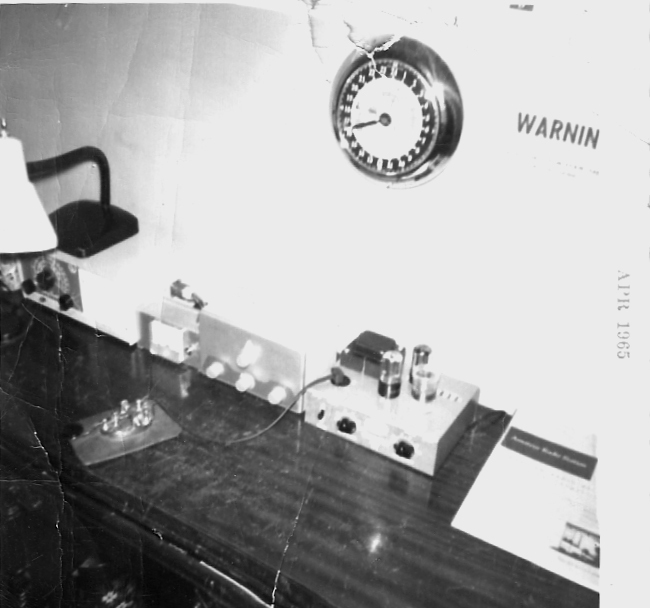 You're looking at a photograph of an actual, working, AMECO AC-1 two-tube CW transmitter. Ah, the Ameco AC-1. Everyone's favorite Novice rig. Yes indeed, this little baby promised a whopping 15 watts of RF on any crystal-controlled frequency within the 80 or 40 meter band. Later I found out the specs referred to 15 watts of INPUT. The actual RF output was approximately half that. No, this one's not mine (above). It's a photo of one owned (and later auctioned) by K8RA. Sadly, the last time I saw my very own Ameco AC-1 was 1965, when I was in the 6th grade. I sent my $14.95 to Ameco and they shipped me a box of parts and a schematic. Two tubes. A hand-wound tank coil. A jumble of capacitors and resistors. I built the damn thing with my own two hands and a low-watt soldering iron in a couple of days. Just one problem. It didn't work. 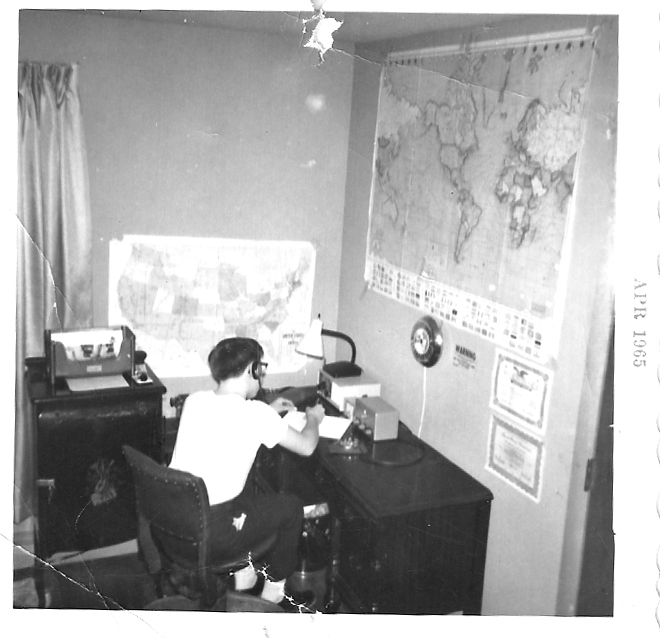 Lucky for me, my Mom had a job at Western Electric. She convinced one of the engineers there (who was a ham) to take a look at my dysfunctional transmitter. A few weeks later, she brought it back home. She said the guy fixed a few bad solder joints. But when I plugged it in and fired it up, it still didn't work. Oh, it glowed, it hummed like a nest of angry hornets, and it even smoked a bit, but never, for one second, did it transmit any kind of signal into the ether. Good thing, too. I wasn't yet licensed. My AC-1 was never used. By the time I got my ham ticket ten years later in 1975, it was long gone, lost sometime during my teenage years. Today, it is perhaps buried in a New Hampshire landfill, quietly rusting alongside my Red Ryder BB gun and other debris of my early youth. That's why it's important that if you, by any chance, have an Ameco AC-1 lying around in your basement or attic, you must ship it to me immediately. Of course, I will remit to you a nominal fee for your troubles, but you my friend, will gain much more than mere money. You will take comfort in the eternal satisfaction of knowing that you have resolved for me...one of life's eternal mysteries. ABOUT A YEAR after I posted the above story, Mike Camp, KI7FQ contacted me. "I am sending you my old AC-1" he wrote, "I'll never use it, and know you'll give it the TLC that it deserves". One week later, I received his original AC-1 in the mail. With the help of local QRP fanatic Trevor, K6ESE, I was able to restore this rig. I had my first AC-1 QSO on 7.115 MHz at 0234 UTC on 11-12-2000. It was a fantastic conclusion to a lifelong quest! IN LATE 2007, I sold this AC-1 on eBay. IT'S FREE, EASY TO JOIN, AND CONTAINS HUNDREDS OF AC-1 PHOTOS, LINKS, FILES, AND THE VERY LATEST INFO ON AC-1 "CLONE" KITS. BUILD IT! RESTORE IT! - Parts list, schematic, manual, chassis layout, artwork, tips, and mods. BUY IT (ALMOST) - Houston TX QRP Club reproduction AC-1 kit project. GALLERY OF AC-1's - The good, the bad, and the ugly! Wow, this is REAL Ham Radio! Stop by the W1GFH home page and have a look.